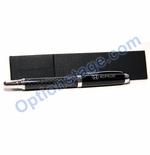 Carbon Fiber Ball Pen laser engraved car logo and/or brand. Official licensed by Au-Tomotive Gold Inc. 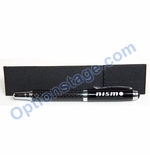 Carbon Fiber Ball Pen in black ink and made with real carbon fiber on the barrel. 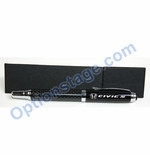 Come with the gift box and perfect gfit for office, home, vehicle fans or collection.